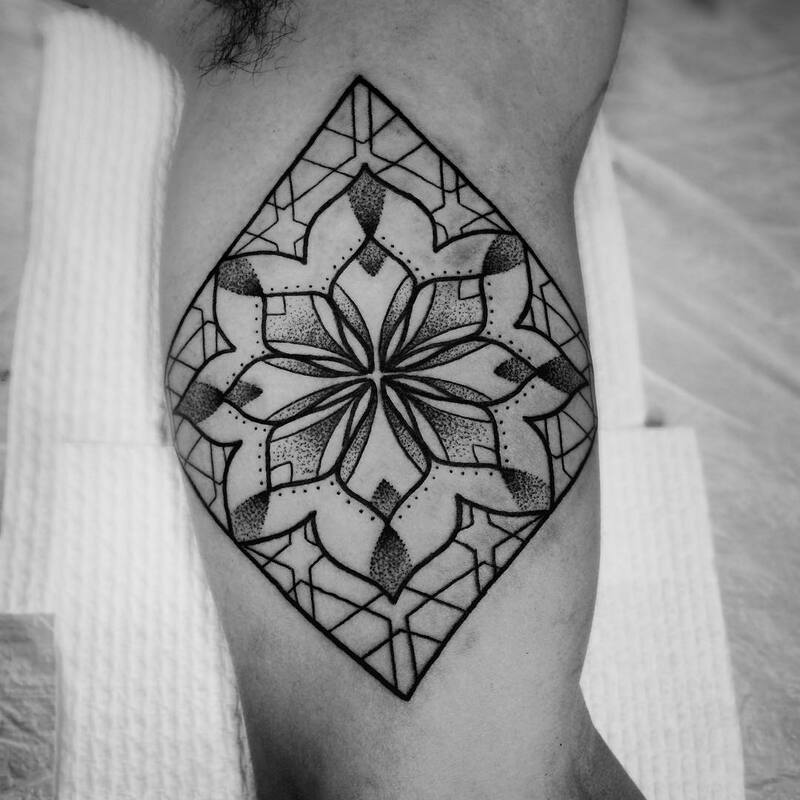 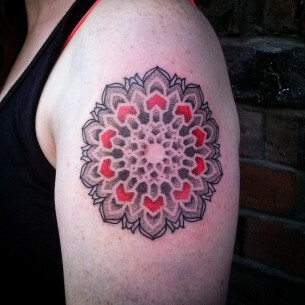 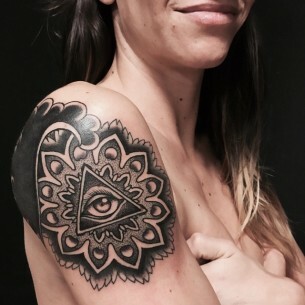 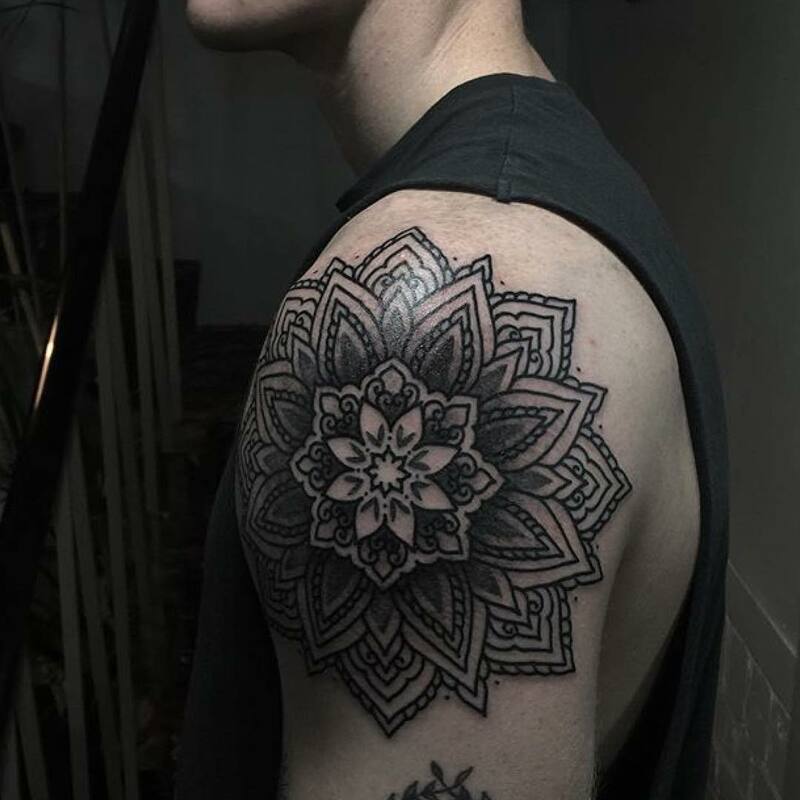 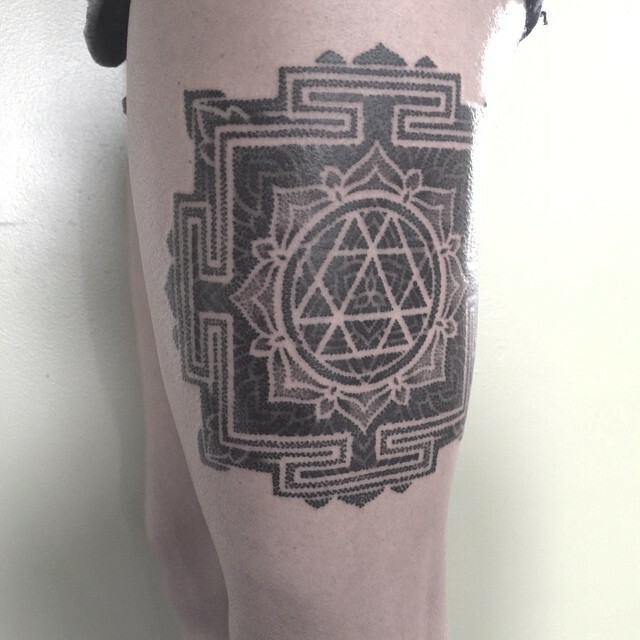 Mandala tattoos are one of the most popular nowadays. 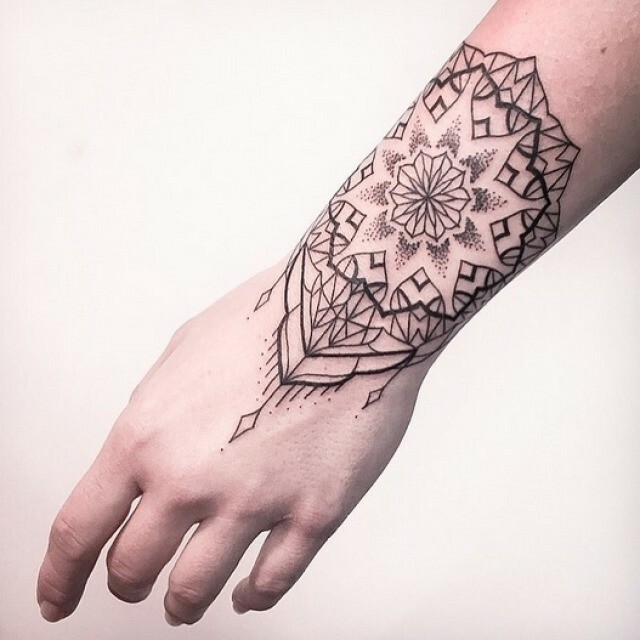 Sometimes people even don’t know what these complex drawings are meant for and their origins. 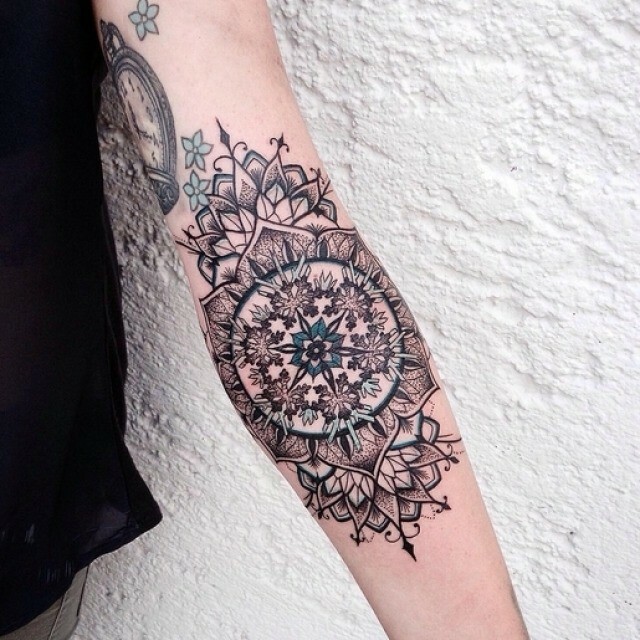 Mandalas attract tattoo lovers with their beauty and pictures here prove this assumption. 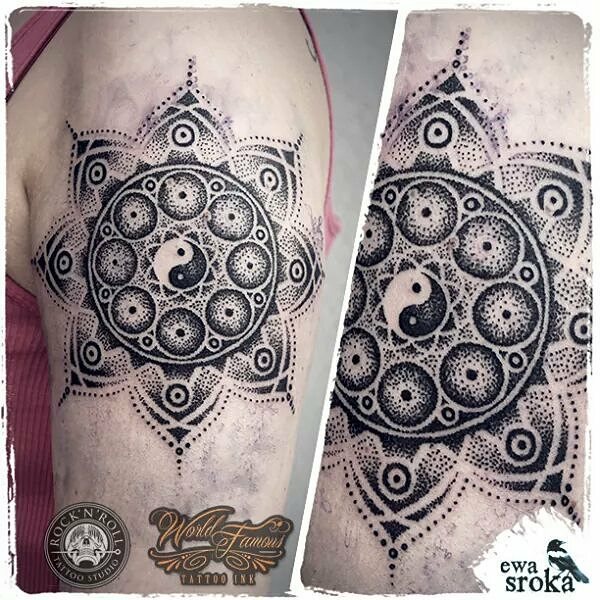 And image which is serving an inspiration for all mandala tattoo designs is a diagram originally used in the spiritual practice of Tibet and India aimed to reach the highest points of concentration. 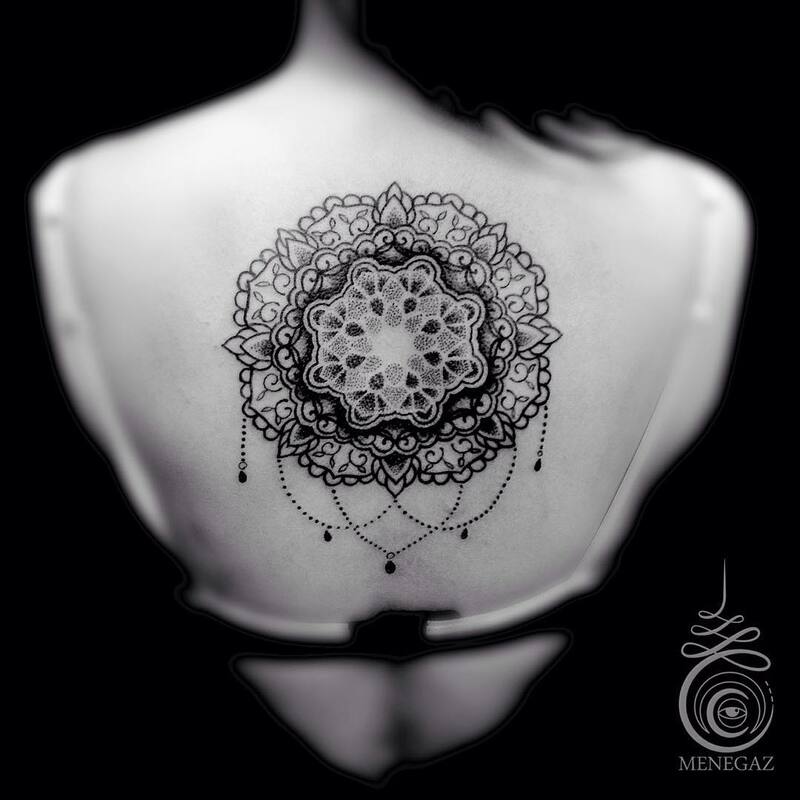 Its power gets obvious during meditative staring at them observing all the details of the complex circular ornament. 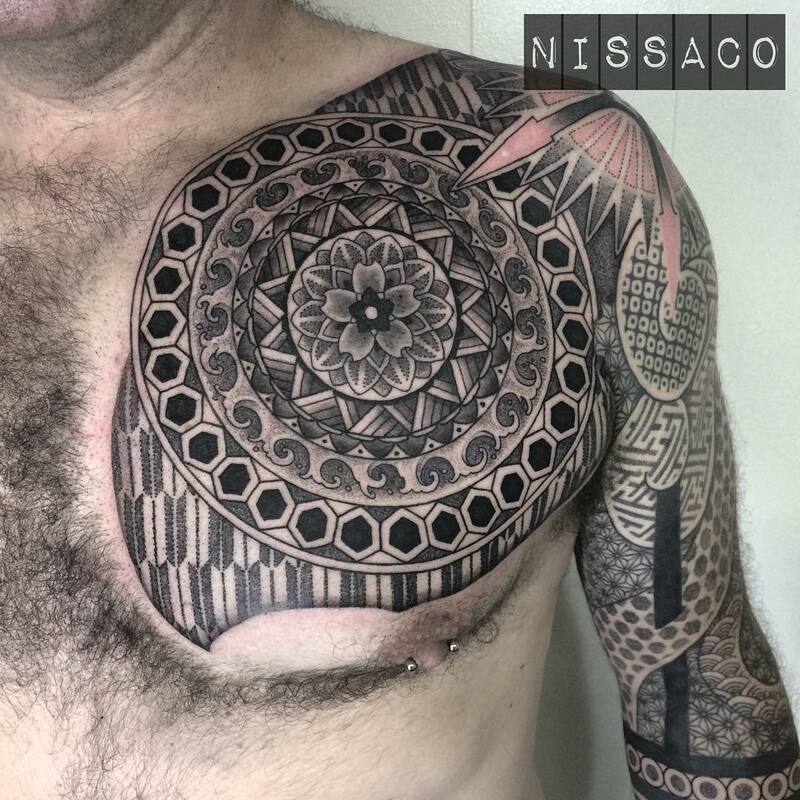 This practice lets a mandala influence the emotional background, mood and biological field of a man. 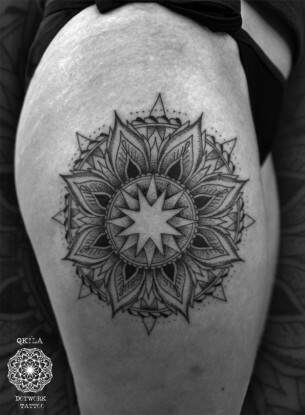 Mandala tattoo is a circle (The Universe) with a square inside it, which in its turn has another lotus shaped circle inside with eight petals (a place where Buddha lives). 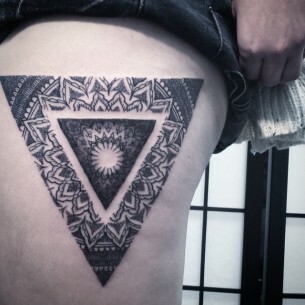 The symbol of generation is often drawn in the middle of the whole composition. 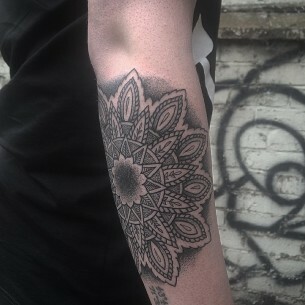 Mandala tattoo meaning is the harmony and order of the world, the map of the Cosmos, which the man is a part of. 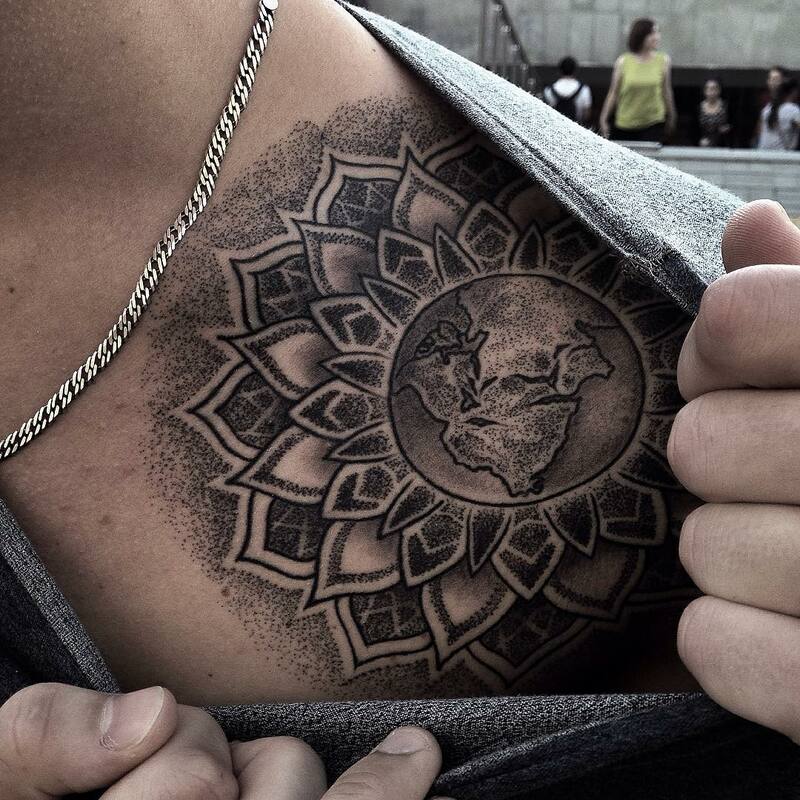 This tattoo is a strong talisman, the drawing suggests of the inner harmony of its owner and his peaceful intentions. 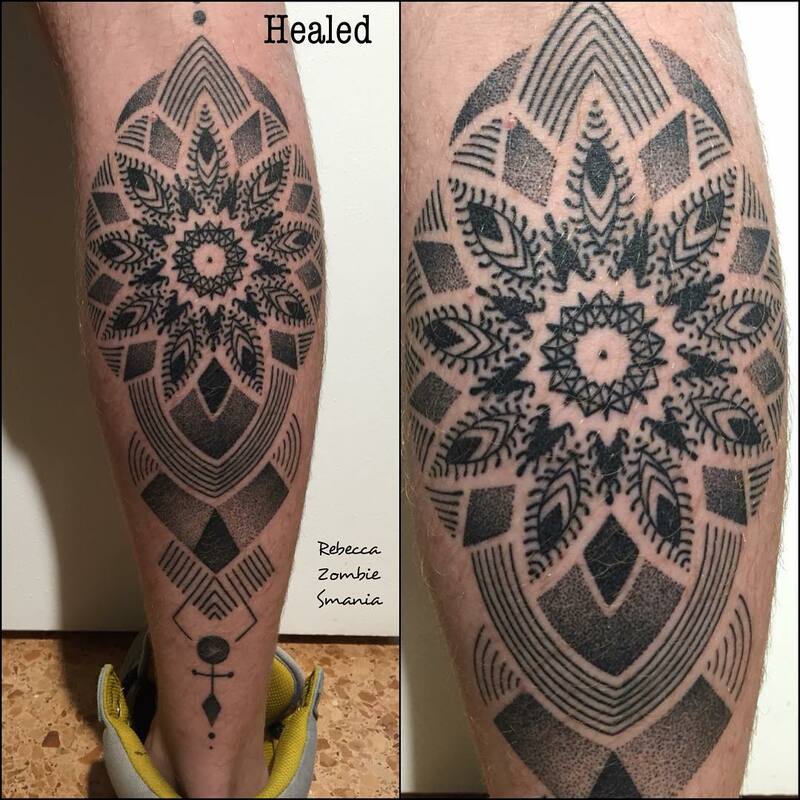 There are 12 main diagrams which can be used as tattoo ideas, however, there are much more of them, the structure on mandala depends on a person who is creating it, choosing different symbols and elements to depict his or hers essence. 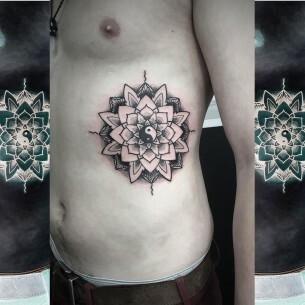 So, before making a choice of a mandala tattoo design it’s better to learn meanings of different symbols used to form mandala. 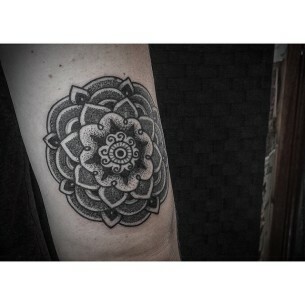 Mandala tattoo can have one lotus flower or several of them. 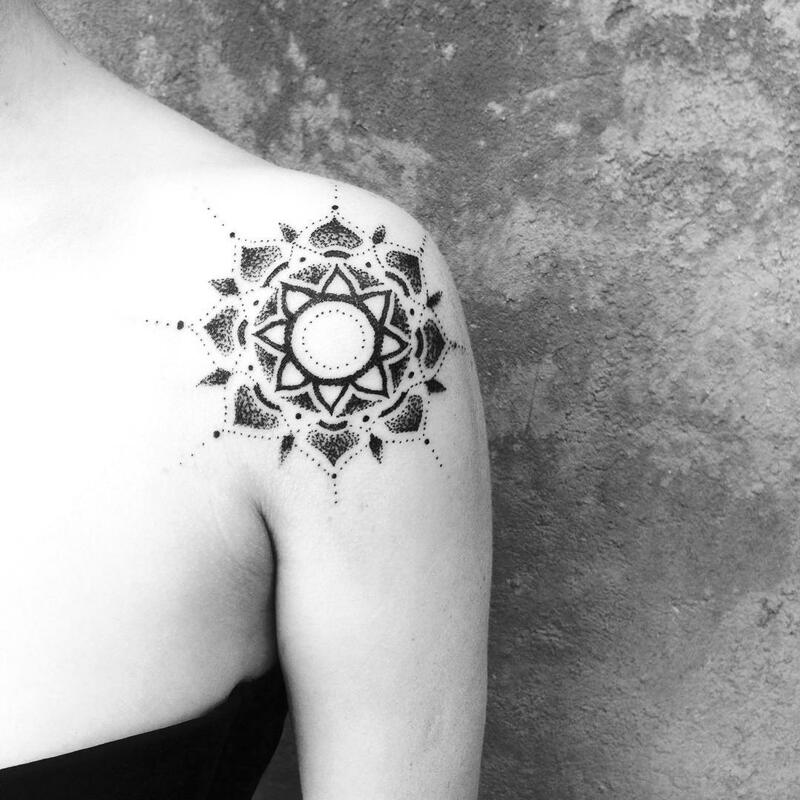 The most common placements for these tats are back, palms, shoulders, calves.